»Forums Index »Halo Custom Edition (Bungie/Gearbox) »Halo CE General Discussion »Couple questions for Dreamweb authors, 3d modelling and tagging. 2. where are those Halo 2 anniversary marines shown in that ce3 preview? How do you get those models alongside with the h2a elites and the hcea chief biped(I'm guessing that you used a modded file explorer for the xbox one(*ahem gamecheat13)). 3.Can someone provide me with a 3dsmax tutorial? Specifically, I need a general understanding of the UI, how to rig a model with animations and making collision model tags. I'll give a some examples to best prove what I'm trying to do. Take a cool lookin halo 4 carbine and rig it somehow with halo 3 carbine animations. Get the already available Halo 2 animation extractor, extract each individual marine animation(strafe_right,strafe_left) and rig them to a halo 2 marine model and make some collision model. 4. Can anyone provide me with tagging tutorials? I need anything to benefit my mediocre tagging skills. If someone gave me a pile of tags(For example, SPV3), I can do basic mods like gameplay balance, change minor details in effects(remove smoke effect from brute shot grenade impact), etc. 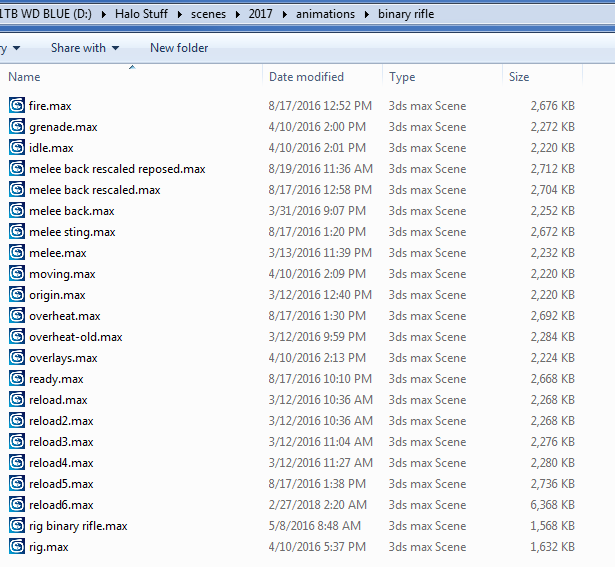 However, if someone gave me a pile of models, shaders, basically any asset straight ripped from adjutant alongside with already available biped/weapon animations and I had to make a h3/hr mixed tagset(hr brute with halo 3 brute armor: halo 3 shotgun with hr textures and shaders), I'd have no idea what to do. This is what I'm trying to accomplish: I want to make cool 100% original content like cmt, altehros, megasean or any other advanced modder but I only know the basics of tagging. An example to best prove my tagging skills: say I'm a complete master at java coding and I want to learn, i dont know uuhh, c++ and I have a very basic understanding of c++(Can make simple calculators and can understand structure of code). I look at someone elses advanced c++ program and I can maybe change up some values and maybe add a couple new methods. If I were to write some c++ program similar to the other guys advanced program, I have no idea what to do. All I'm saying is that can anyone link me or provide with tutorials or guides so I could further study tagging. I don't want to keep coming back to this forum with some debug log asking for help every 5 minutes. It is alleged that Gamecheat13 trolled. Or faked it. Apparently it was either model rips or really professional look alike models within Halo 2 Vista. Me and my buddies don't believe it. The Xbox One is so-called unhackable and I literally cannot find anything on the internet regarding Xbox One modding yet alone MCC modding. I'd love to be able to fly a pelican on the MCC too but with all the 'secrecy' I have my doubts. Its obviously fake or something dodgy happening all together. 1. I heard the most of the dreamcast tags were lost after a hard drive failure including the forerunner weapons. 2. Gamecheat probably did fake his and only few people have access to h2a models. I really wan't to get my hands on those sweet flood models. 3. https://www.youtube.com/watch?v=rC3hqIyjthc&list=PLsYFcdY5bHyIEj38SFXPRgTCqItJMyLRi that playlist contains the basics for modeling in 3dsmax. I have the latest version and the ui is pretty much the same. I recommend getting a custom biped with halo 1 bones and avoid custom animations for now. 4. All my tagging skills are from trial and error I never did find any tutorials sadly. Aw man I feel horrible for the dreamweb authors. Must've took alot of effort to port those assets. You know sometimes computers really piss me off. 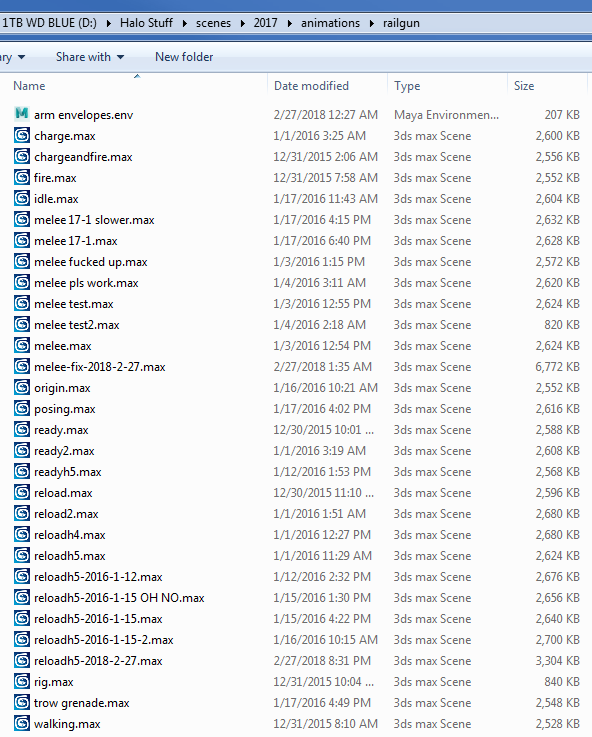 The animations are real, the tags are gone, the max files are intact. I worked hard on them. 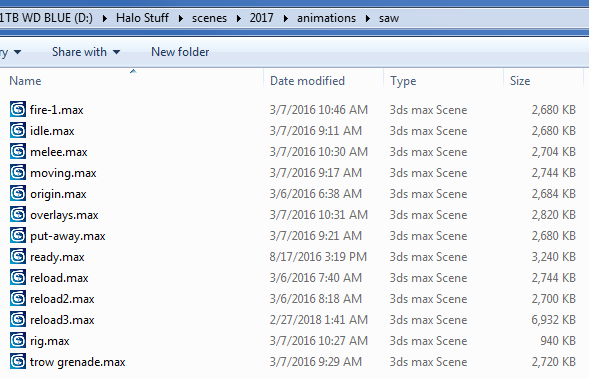 I still don't think we even have h4 animation ripping. -delete markers, bones, everything except the mesh. -import halo 3 battle rifle from zteam. The last step, which I have a problem with, is to link all the frames to their meshes. I don't really know the exact steps but after you link everything, your ready to export. Sean here, the guy behind that dreamweb thing. The BR should have already worked with those animations out of the box. And pretty much what Michelle said, I only have what was actually released and that's it. I've personally forsaken Dreamweb and don't do anything regarding it anymore. The Halo 2 Anniversary models are from a variety of sources, mainly Killer Instinct, Halo 5 Forge, and Halo Online (that is where the Marine is from). Nobody in the group had access to any Xbox One tools, especially not back in 2015/2016.